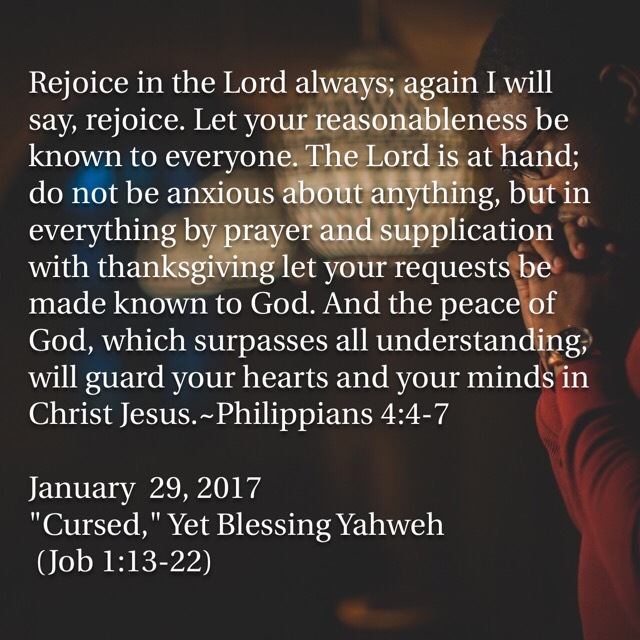 On Sunday, January 29, 2017, Pastor Joe Troutman preached “Cursed,” Yet Blessing Yahweh from Job 1:13-22. God gives and God takes away; God is God, and he is to be worshipped. CLICK HERE TO LISTEN to “‘Cursed,’ Yet Blessing Yahweh” (Job 1:13-22) at mcopc.org. On Sunday, January 8, 2017, Pastor Joe Troutman preached “Blameless and Upright” from Job 1:1-5. Jesus Christ’s work as our Mediator serves as God’s “grace-colored glasses”—when the Father looks at us, he sees the righteousness of his Son. There was a man in the land of Uz whose name was Job, and that man was blameless and upright, one who feared God and turned away from evil. There were born to him seven sons and three daughters. He possessed 7,000 sheep, 3,000 camels, 500 yoke of oxen, and 500 female donkeys, and very many servants, so that this man was the greatest of all the people of the east. His sons used to go and hold a feast in the house of each one on his day, and they would send and invite their three sisters to eat and drink with them. And when the days of the feast had run their course, Job would send and consecrate them, and he would rise early in the morning and offer burnt offerings according to the number of them all. For Job said, “It may be that my children have sinned, and cursed God in their hearts.” Thus Job did continually. On Sunday, January 1, 2017, Pastor Joe Troutman preached “The Book of Job and the Problem of Evil” from Job 1:12. God is in sovereign control of all that happens, and all that happens brings glory to his name and good to his people. 1. The Problem of Pain—Pain is often the thing that brings us to the end of ourselves and drives us to Christ. 2. Not By A Bare Permission—Your present suffering God will use for his glory and your good if you trust in him, although you may never be freed from your suffering in this life. 3. God’s Solution to the Problem—Jesus Christ came to suffer so that you would not have to endure eternal suffering. In Defense of the Eschaton is an anthology of William D. Dennison’s essays on the Reformed apologetics of Cornelius Van Til. Written over the course of Dennison’s many years of study, the chapters in this volume investigate Van Til’s theory of knowledge, revelation, common grace, antithesis, Christian education, and the history of ideas, as well as examine key Scriptures to identify the redemptive-historical structure of a biblical apologetic method. In the end, Dennison finds that Reformed apologetics must take eschatology seriously. According to the New Testament, the believer has been transferred by faith in Christ into the final stage of history. As a citizen of heaven, the Christian apologist must defend the eschaton of the age to come against the satanic attacks of this present world. William D. Dennison (MDiv, ThM, Westminster Theological Seminary; PhD, Michigan State University) is Professor of Interdisciplinary Studies at Covenant College and Visiting Professor of Apologetics and Systematic Theology at Northwest Theological Seminary. He is the author of Paul’s Two-Age Construction and Apologetics (Wipf and Stock, 2000), A Christian Approach to Interdisciplinary Studies (Wipf and Stock, 2007), The Young Bultmann (Peter Lang, 2008), and Karl Marx (P&R, forthcoming). James Douglas Baird (BA, Covenant College) is Content Strategist at Westminster Theological Seminary in Philadelphia. He was the founding Head Editor of the online philosophy journal, Mountaintop Thoughts, and is a contributor to Reformed Forum. This new collection of Reformed thinkers’ writings from the Reformation to today brings together key documents on the inerrancy of Scripture in one readable volume. One of the hallmarks of Westminster Theological Seminary since its beginning in 1929 has been a high view of Scripture that reflects the historic Reformed theological and confessional tradition. Thy Word Is Still Truth confirms that Westminster still holds this high view. The book’s title builds on the important influence of E. J. Young’s classic book on inerrancy, Thy Word Is Truth. This current anthology unapologetically borrows that title, emphasizing an abiding commitment to the entire truthfulness of the Holy Scriptures as well as a deep indebtedness to Reformed thinkers from the past to the present. Peter A. Lillback (BA, Cedarville College; ThM, Dallas Theological Seminary; PhD, Westminster Theological Seminary) is Professor of Historical Theology and President at Westminster Theological Seminary. He is the author of many books and articles, including the best-selling George Washington’s Sacred Fire. Richard B. Gaffin Jr (BA, Calvin College; BD, ThM, and ThD, Westminster Theological Seminary) is Professor Emeritus of Biblical and Systematic Theology at Westminster Theological Seminary. He is also the author of Resurrection and Redemption: A Study in Paul’s Soteriology. Daniel R. Hyde (M.Div. Westminster Seminary California) is the Pastor of Oceanside United Reformed Church in Oceanside, California. He is the author of Jesus Loves the Little Children (2006), The Good Confession (2006), What to Expect in Reformed Worship (2007), and With Heart and Mouth (2008). 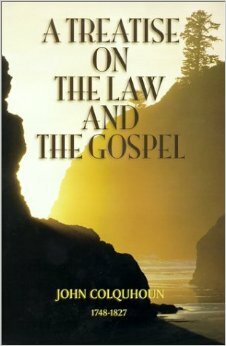 In this book, Colquhoun helps us understand the precise relationship between law and gospel. He also impresses us with the importance of knowing this relationship. Colquhoun especially excels in showing how important the law is as a believer’s rule of life without doing injury to the freeness and fullness of the gospel. By implication, he enables us to draw four practical conclusions: 1) the law shows us how to live, 2) the law as a rule of life combats both antinomianism and legalism, 3) the law shows us how to love, and 4) the law promotes true freedom. 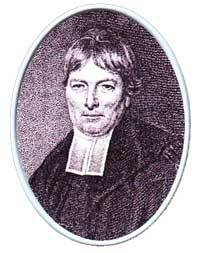 John Colquhoun (1748–1827) was a minister in the Church of Scotland whose sermons and writings reflect those of the Marrow brethren of the Secession church. Colquhoun’s writings are theologically astute and intensely practical. He wrote on the core doctrines of the gospel, particularly on experiential soteriology. Throughout the history of the Church, the great doctrines of the faith were forged in the fires of debate as in Pelagius & Augustine, Luther & Erasmus, Calvin & Eck, and Whitefield & Wesley. The goal of this debate and lecture series is to promote the exchange and examination of the great historic doctrines of the Church; foster a corporate sense of the relevance of the Christian faith and Reformed theology to our culture; and challenge the individual believer to connect with the historic Christian faith and the Church. 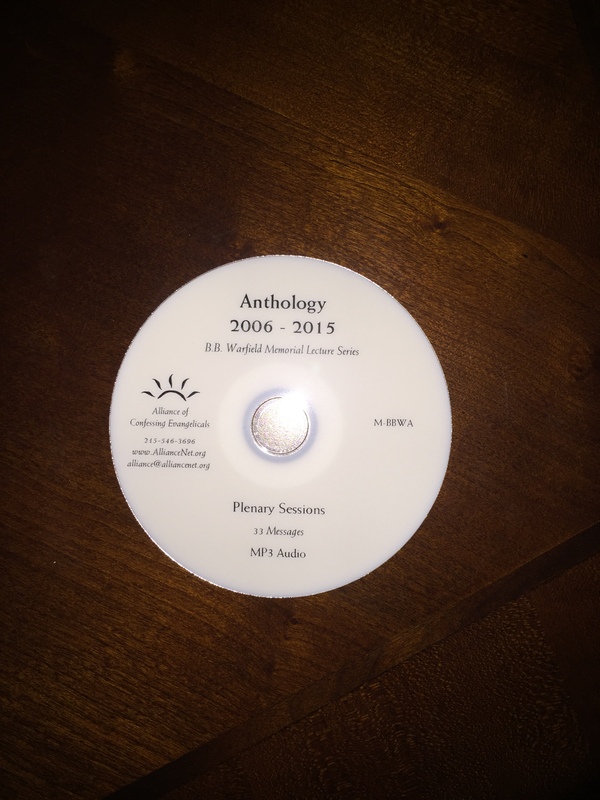 Library patrons who listen to this CD are invited to share their comments, reviews, questions or criticisms for discussion in the comments below this post. 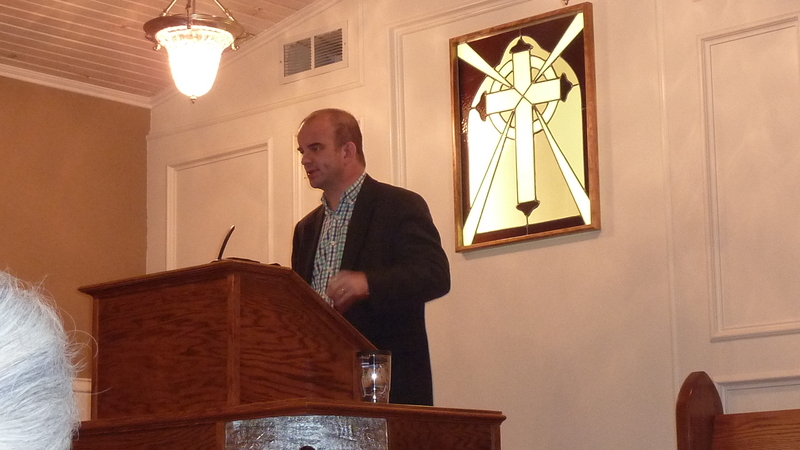 The Creedal Imperative by Dr. Carl Trueman was the subject of our first ever DFW Reformation Conference, held on October 10-11, 2014 at Mid-Cities Presbyterian Church. Recent years have seen a number of high profile scholars converting to Roman Catholicism and Eastern Orthodoxy while a trend in the laity expresses an eclectic hunger for tradition. The status and role of confessions stands at the center of the debate within evangelicalism today as many resonate with the call to return to Christianity’s ancient roots. 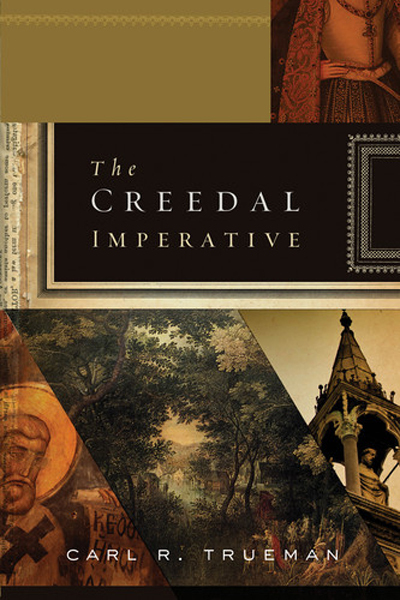 Carl Trueman offers an analysis of why creeds and confessions are necessary, how they have developed over time, and how they can function in the church of today and tomorrow. 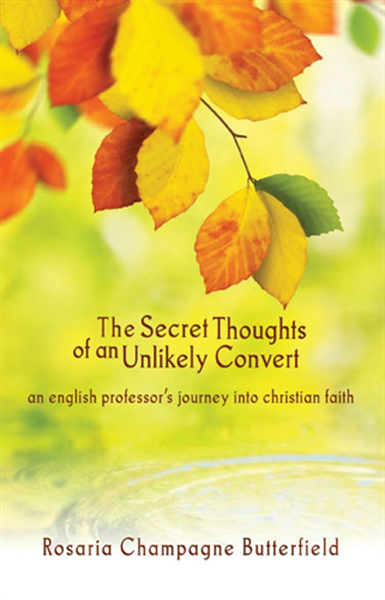 He writes primarily for evangelicals who are not particularly confessional in their thinking yet who belong to confessional churches – Baptists, independents, etc. – so that they will see more clearly the usefulness of the church’s tradition. Carl R. Trueman (PhD, University of Aberdeen) is professor of historical theology and church history and vice president for academic affairs at Westminster Theological Seminary. He was editor of Themelios for nine years, has written more than a dozen books, and has contributed to multiple publications, including the Dictionary of Historical Theology and The Cambridge Companion to Reformation Theology.